The Multi comprises five bold colours; navy, racing green, cream, light blue and red. 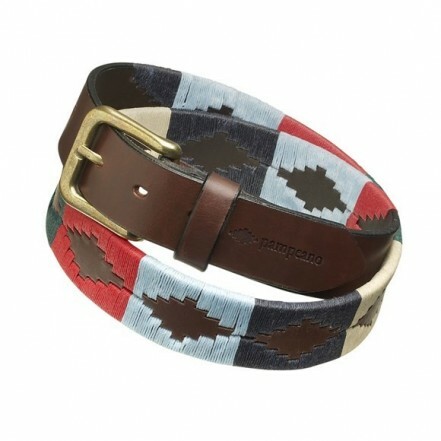 One of our all-time best sellers, the vibrant Multi belt will last for years. Known to be a focal point of conversations and compliments, a pampeano polo belt is the perfect gift for a loved one and the ideal addition to your own wardrobe. The Multi can be worn with polo whites, jodhpurs, jeans, chinos, skirts, around coats and even dresses.